I’ve heard that necessity is the mother of invention. This couldn’t be more true than with my Mega Pom Beanie. 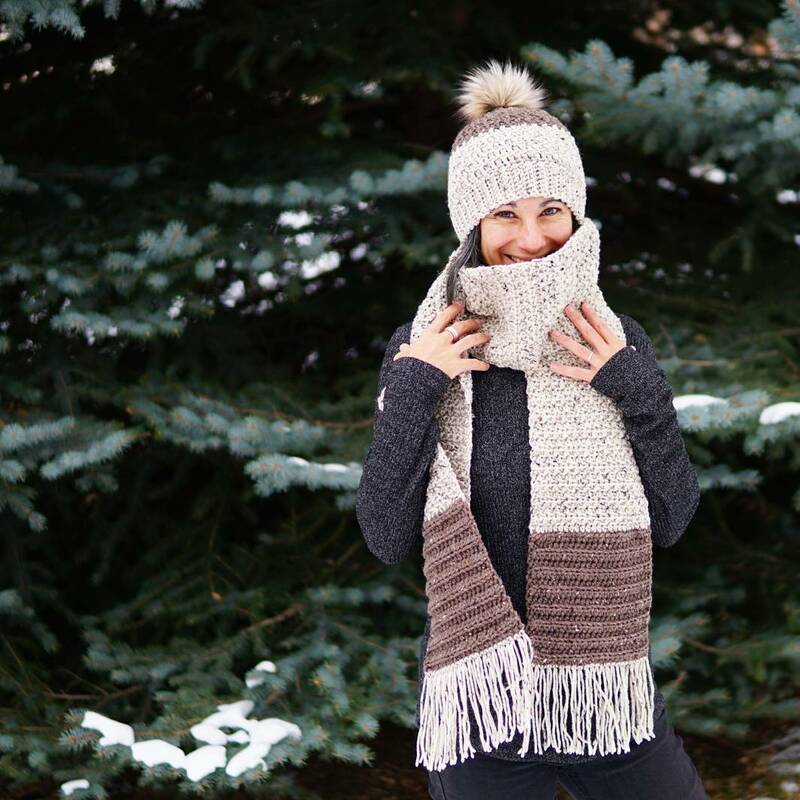 My very first dance with designing came about from the desire to make the ultimate slouchy beanie. 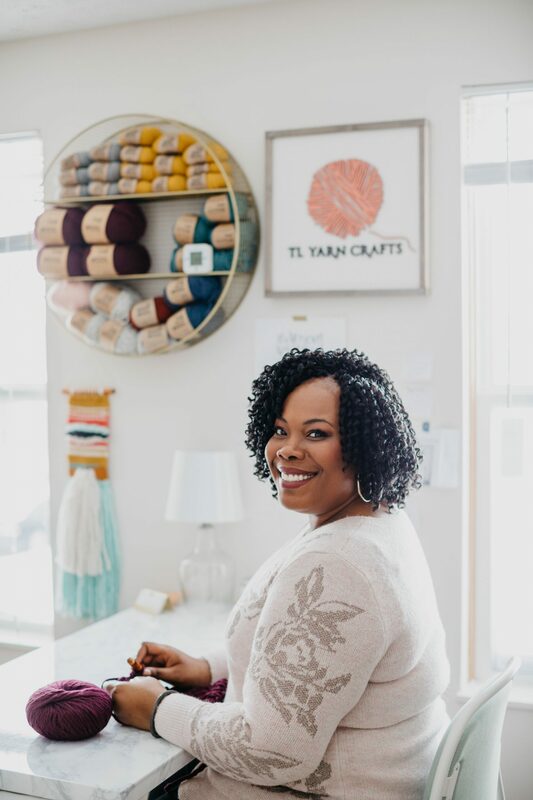 When TL Yarn Crafts started in 2013, my entire business model was making and shipping finished items. My shop had a range of products from beanies and scarves to washcloths and baby blankets. I was all over the place! I got a little burned out on making all the things and decided to focus more on winter accessories. All of the patterns I used came from magazines, books, and online shops. But I hit a wall when I I tried to find my “signature beanie”. 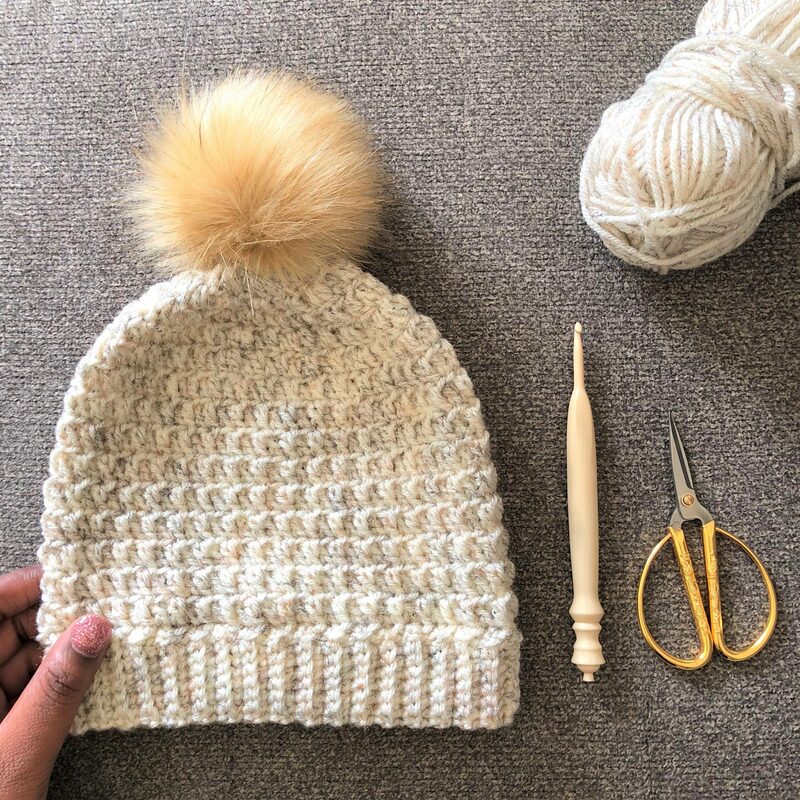 After months (not even kidding) of trial and error, the Mega Pom Beanie was born! It was everything that I wanted and more. I tried it in every type of yarn I could find: solid colors, stripes, variegated, cotton, wool, acrylic. It came out perfect every time. I can’t say exactly say how many I’ve made since releasing the pattern in 2015, but I know that every single one of them has been a joy. The variations on this pattern are endless! I was contacted by an old college friend who was looking to gift handmade for a baby shower. 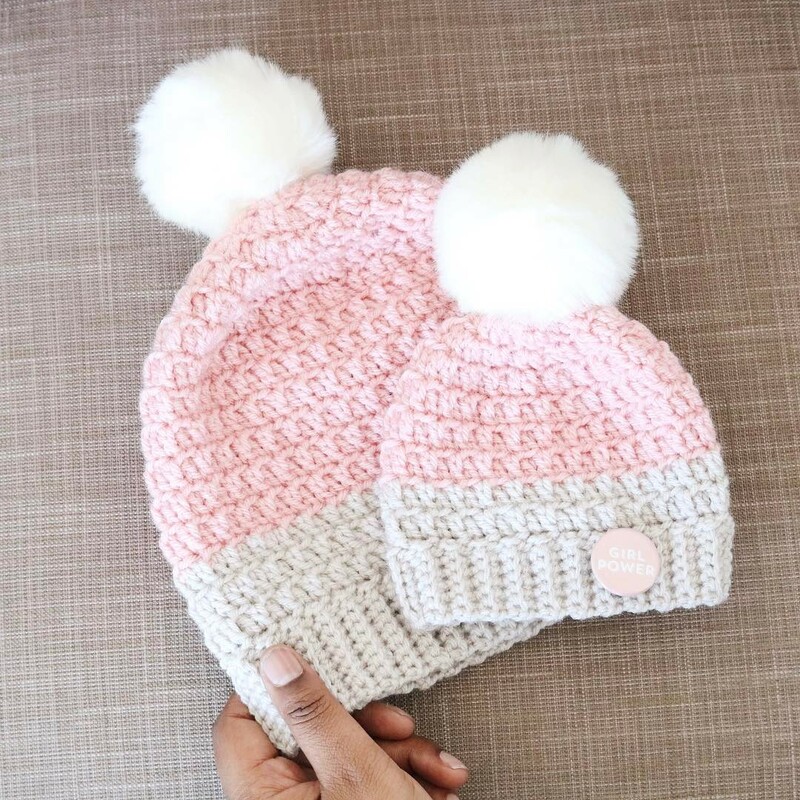 We talked and I suggested a Mommy & Me set using the Mega Pom Beanie pattern. Didn’t it come out so cute?! 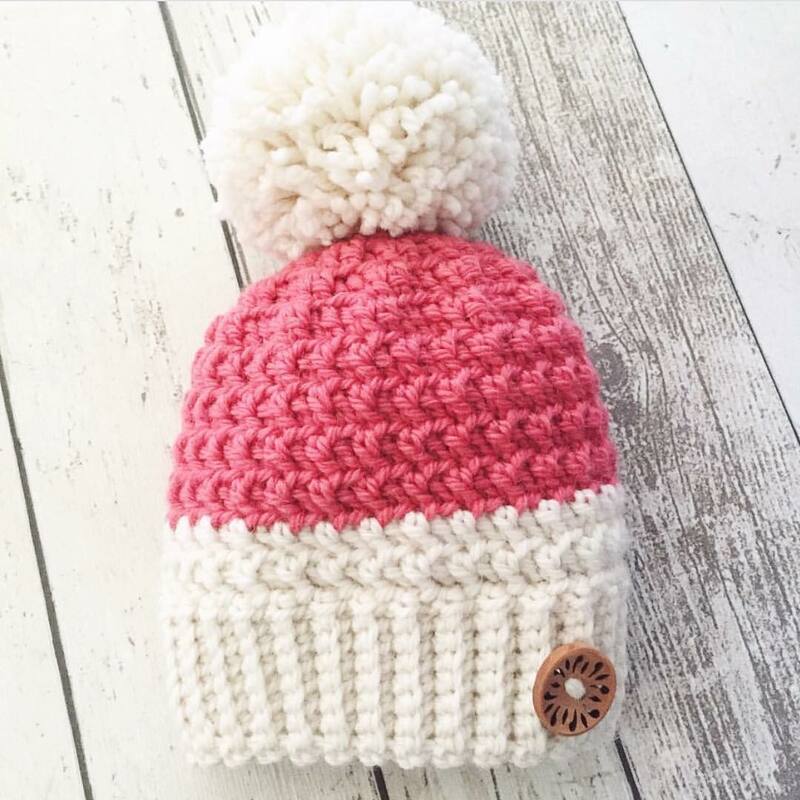 I found these pom poms from Lion Brand and added a one of my hand-punched Girl Power buttons as a small gift. 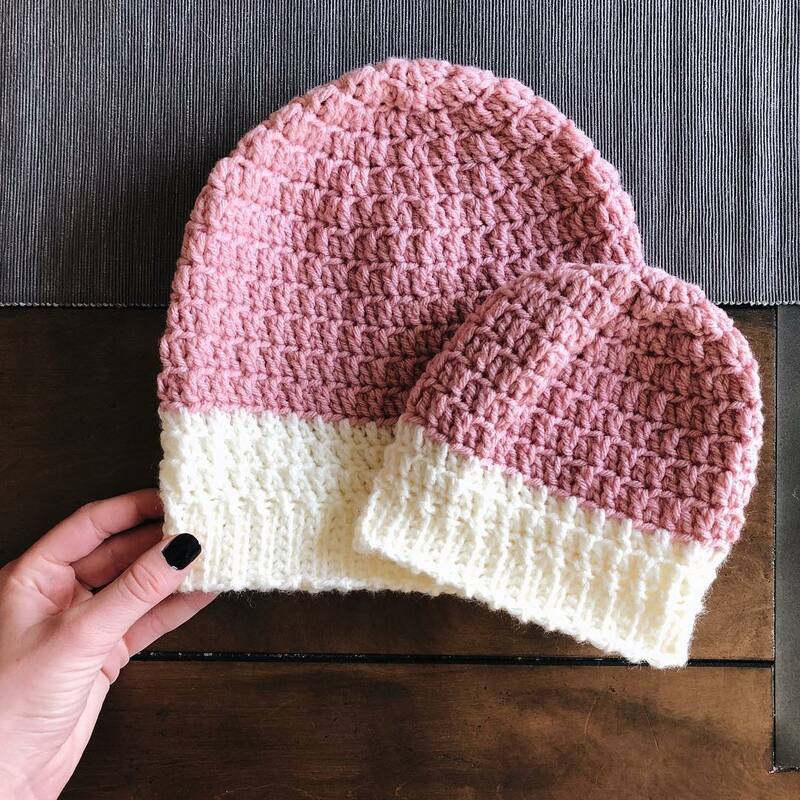 Of all the great things that happened for me and TL Yarn Crafts after releasing the Mega Pom Beanie pattern, I was most humbled by the community support of the pattern. 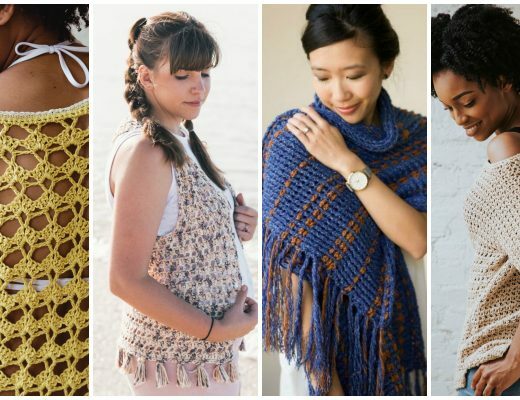 Within days I was tagged in gorgeous photos from fellow makers who’d given the pattern a try. Here are a few of my recent favorites from Instagram. Click the photos to meet the makers! 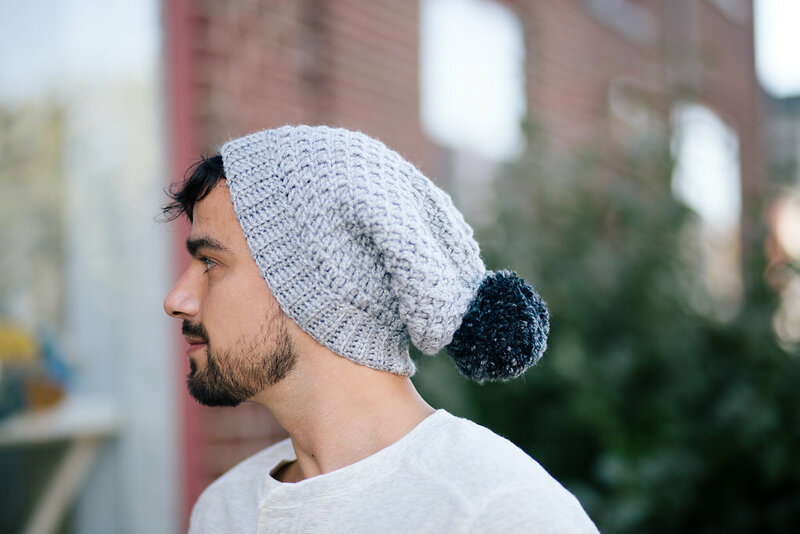 Grab your copy of the Mega Pom Beanie and let the fun begin. 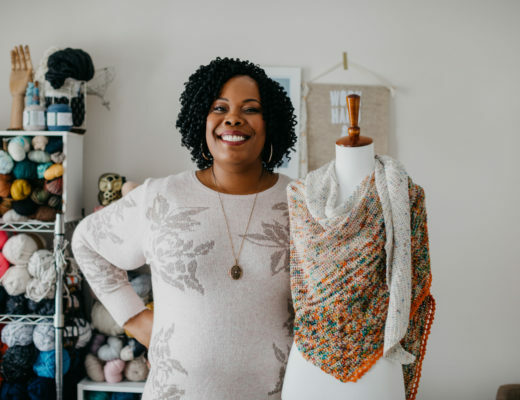 All purchases from my pattern shop include lifetime pattern support. 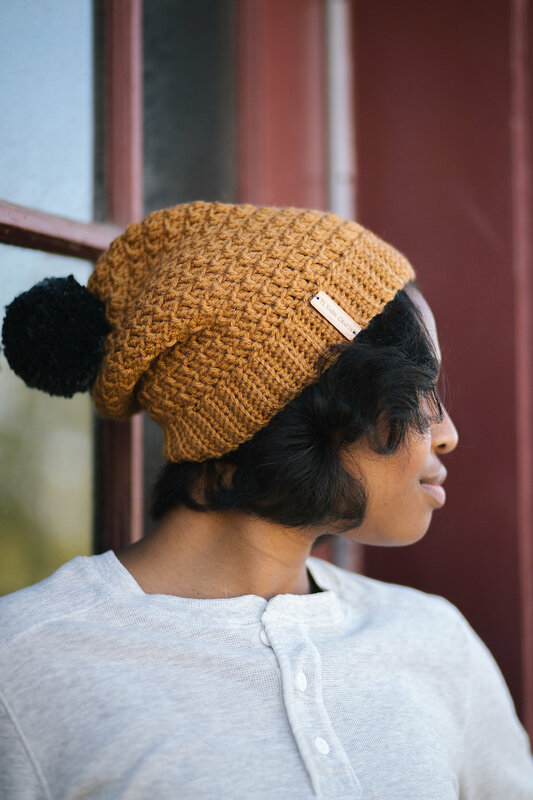 Post your pictures on Instagram using the tags #MegaPomBeanie and #CrochetIsBAE for a chance to be featured! I love your patterns in tunisian crochet. You are so easy to follow for us older ones. Thank you. I love this “Mommy and Me” set, but the pattern is for an adult. How can I scale it down for a toddler? 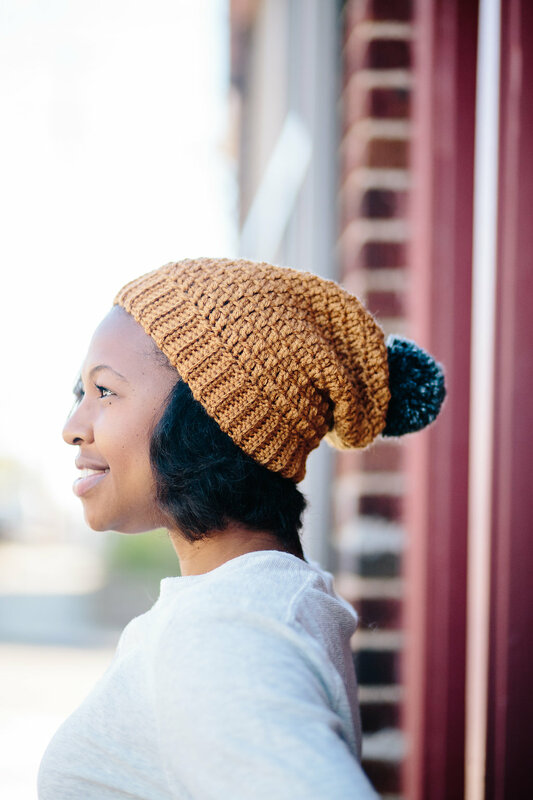 The easiest way would be to use a crochet hat sizing chart, which is easy to find on Pinterest. It will tell you how large to make the crown and how long your hat needs to be. Hope that helps!